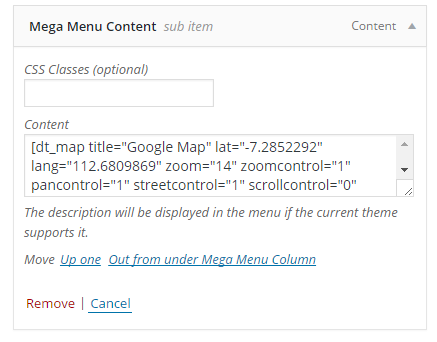 Q : How do I put Google Map inside Mega Menu? 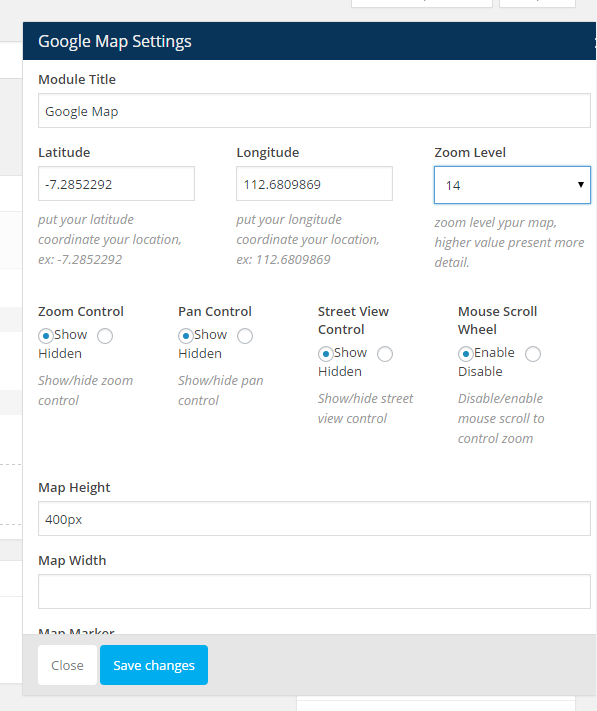 A : Google Map shortcode is extracted from visual composer modules called DT Google Map. 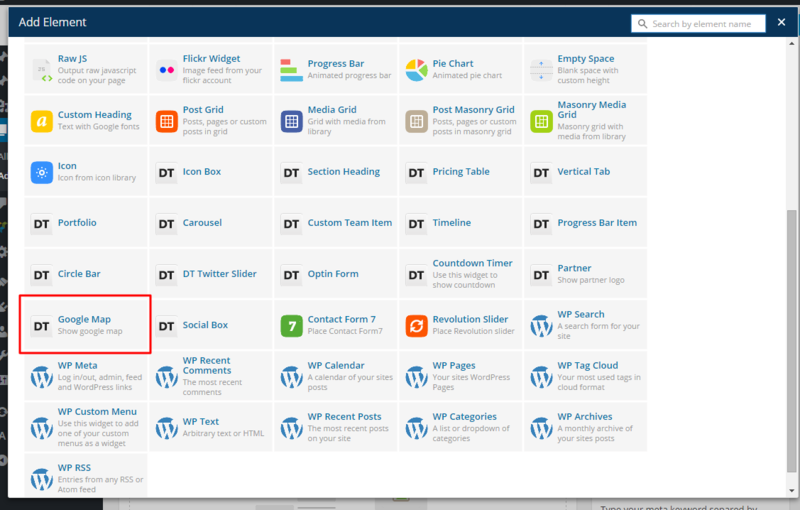 First create a new blank page add a map using Visual Composer, fill in the details then save.